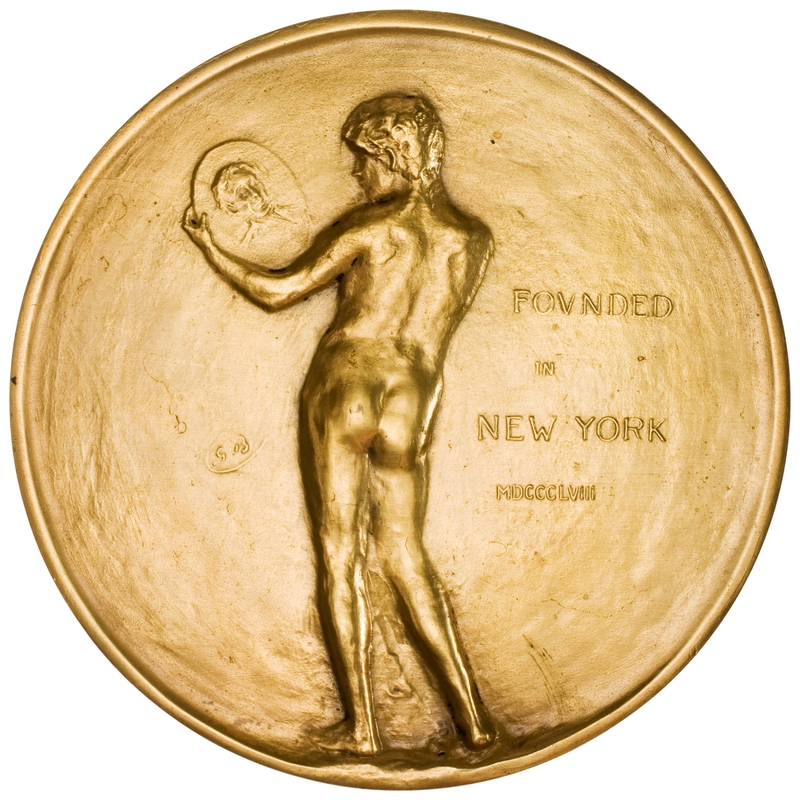 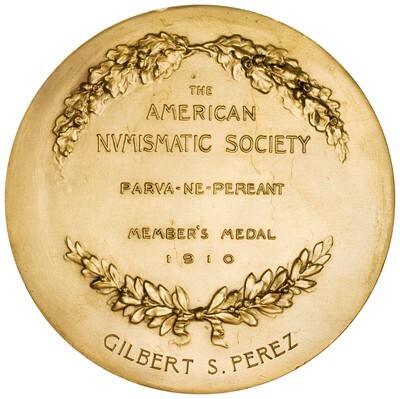 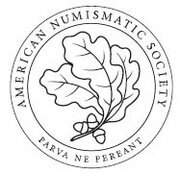 Reverse: THE / AMERICAN / NVMISMATIC / SOCIETY / PARVA-NE-PEREANT / MEMBER'S MEDAL / 1910 / engraved GILBERT S. PEREZ - A wreath of oak branches above and one of laurel below. A space is left below the laurel wreath for engraving the name and year of election of the member. 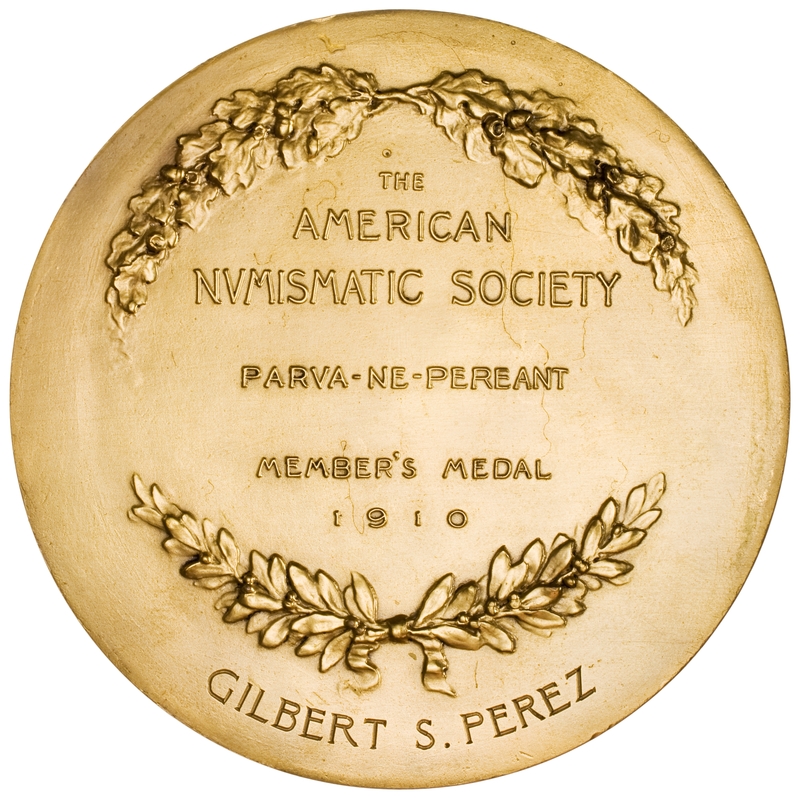 In the center, a six-line inscription.